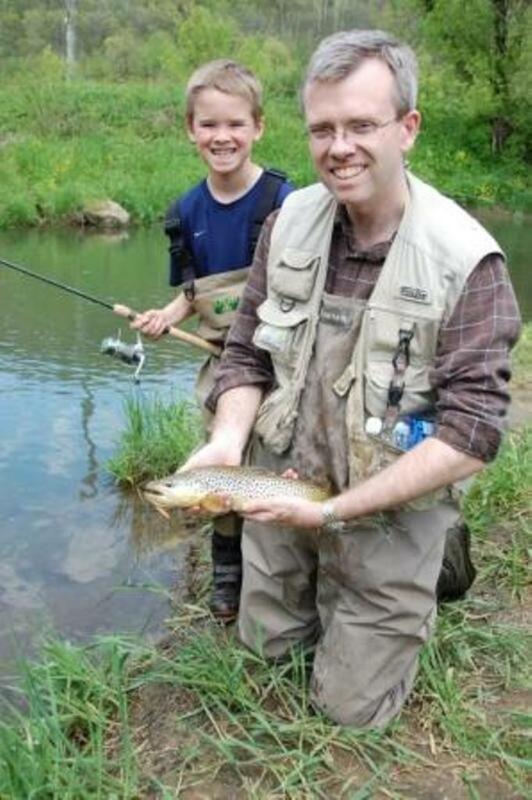 The Wisconsin Trout Season opens on March 3, 2012 and according to Mat at the Driftless Angler Fly Shop in Viroqua, the conditions leading up to the Wisconsin opener are looking good, but he would like to see a little more snow to get water levels up a bit. The Fly Shop also re-opens for the season on the 3rd and will be showing Heart of the Driftless and Reverb that night. The Driftless area of Southwest Wisconsin has the best spring creeks a fly-fisher would want and need. More than 200 miles of these streams are in the coulees of Vernon County, including the Kickapoo, West Fork and Timber Coulee. These creeks flow with cold clean water which create great habitat for trout an fishing abound. Public access to the streams can be found by way of DNR conservation easements partnerships with private landowners. Plan your fishing trip to Vernon County with a stay at the Westby Guest Lodge offering the perfect habitat at the end of your day in God’s Country.